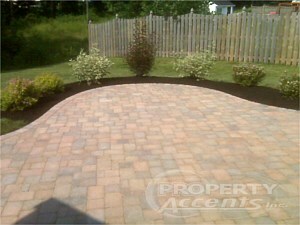 Professional Property Accents, Inc. is a premier choice in Western NY for your hardscaping project. 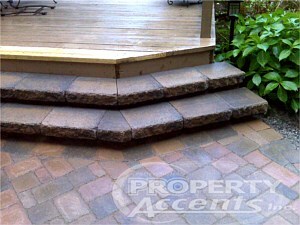 We build custom stone patios, walkways, driveways, and retaining walls to the highest standards in the industry. We are experienced in advanced projects such as raised or multi-level patios, outdoor living components such as barbecues or fireplaces, and integrated features like built-in lighting systems. 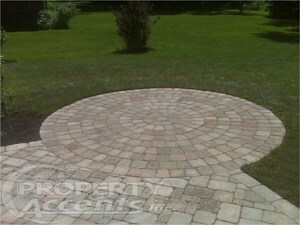 We are Certified Hardscape Installers of both Interlocking Pavers and Segmental Retaining Wall Systems. Our work has been featured in Belgard Hardscapes Catalog and in Anchor Walls 2010 Calendar featuring jobs from around the world! Our projects are hand-crafted works of art that add beauty, function, and value to your landscape. Belgard Hardscapes' huge selection of stone products allows us to create unique projects with elegant colors and textures that are a perfect complement to your home. Each project is precisely constructed from our carefully planned blueprints. Our training and experience with these projects is why you can be confident that your project is in good hands. Our landscape designer will work with you to create the perfect walkway, patio, wall or outdoor living space. 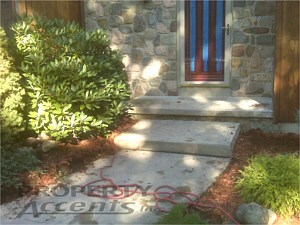 Let us transform the way you look at your yard. The installation of pavers and retaining walls is a very technical procedure that should be handled by properly trained technicians. Proper installation with the right equipment ensures that you project will not only look beautiful, but lasts for decades to come. Certified installers know all of the proper procedures for installation and why it is so critical that they are done on every project. Inexperienced contractors or contractors looking to cut corners have a higher rate of project failure if they do not install the products to industry standards. Educated and Certified by the Organizations in the Hardscape Industry that determine the standards for installing quality, long lasting paverstone and retaining wall projects. ICPI (Interlocking Concrete Pavement Institute) - setting the industry standards for the design and installation of pavers in walkways, patios, porches, driveways, roadways and crosswalks. NCMA (National Concrete Masonry Association) - setting the industry standards for the design and installation of Segmental Retaining Walls (SRW). Segmental Retaining Walls are constructed in a mortarless process using high strength concrete wall blocks. "Gold Level" Authorized Contractor for Belgard Hardscapes - As an Authorized Contractor for Belgard Hardscapes, we provide local installation services under their strict guidelines. Belgard is committed to the highest possible standards. They chose us to be on their team because we continue to meet those standards of workmanship on each project. 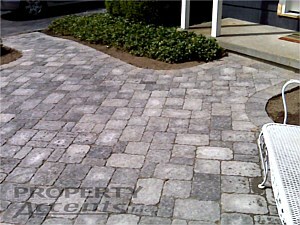 We have featured all of Belgard Hardscapes products here on our website. They have an incredible selection of pavers and wallstones in a variety of textures and colors that allow me to design and build our custom hardscapes. We are trained and educated in the latest techniques, methods and standards by ICPI and NCMA, and are fully insured. We are very experienced installers and have completed many advanced projects. Belgard guarantees their product against manufacturers defects for as long as you own your home (transferable with home). 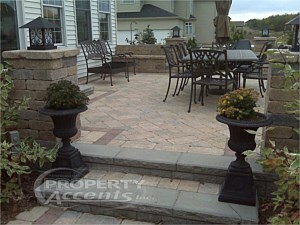 As Authorized Contractors, we offer a two year, limited warranty on the installation of your hardscape. Belgard is America's premier hardscape brand and the most of the product we use is made in Upstate NY! Techniseal Certified Applicator - Techniseal offers many great products for the hardscape industry including polymeric jointing sand, adhesives, and cleaning and sealing products for pavers. We have attended Techniseal's Contractor Program and are Certified Applicators of Techniseal products. 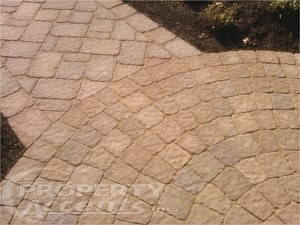 Every paver project that we install is finished with Techniseal Polymeric Sand. Please click thumbnail to see more images of that project.